Now what new mom do you know has the time to be in a hospital for 60 hours to receive a drug? This marks the first time a drug has been specifically approved to treat postpartum depression. Previously many women were taking antidepressants to combat their symptoms, but would complain that the amount of time it took for the pills to have an effect was too long or they didnt work at all. Experts say the new treatment will provide immediate relief for mothers whose depression keeps them from providing their babies with the care that is crucial for healthy development. The statistics do not convey the real number of women suffering with postpartum. How many women do you think revealed to their doctors that they were experiencing symptoms of postpartum? Not many, because of the shame and embarrassment. There is a stigma surrounding postpartum. It is a very sneaky mood disorder that catch many women by surprise.There is a serious problem with this new drug because it is not affordable and not accessible to numerous women who need it. 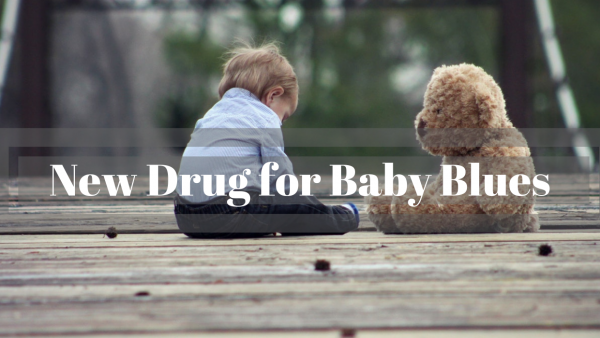 It's a catch 22 for a new mom who has to take care of her new baby, find out if her insurance will cover the new drug and take time out of her already busy schedule to have the drug administered. We should be applauding their effort to finally create a drug that can help many new moms recover from postpartum depression but we have to do better as a nation that struggles with accommodating mothers needs. This drug should be accessible and affordable to everyone who needs it and until they come up with a better option lets keep on working on it.